That’s where I’m thankful to have the Algenist Splash Hydrating Setting Mist in my life!! For £28 you get 118 ml of spray, which, if you use as directed, gives you a hell of a lot of usage!! The directions say to spray in a Z formation; across the forehead, across your face diagonally and then spray once over the lower part of your face (remembering to keep your eyes closed for the first two parts!!) Obviously I only realised you’re meant to spray it like that after I’d looked up the instructions for this blog post!! I apparently love using products without reading how to use them properly first, anyone else do that? 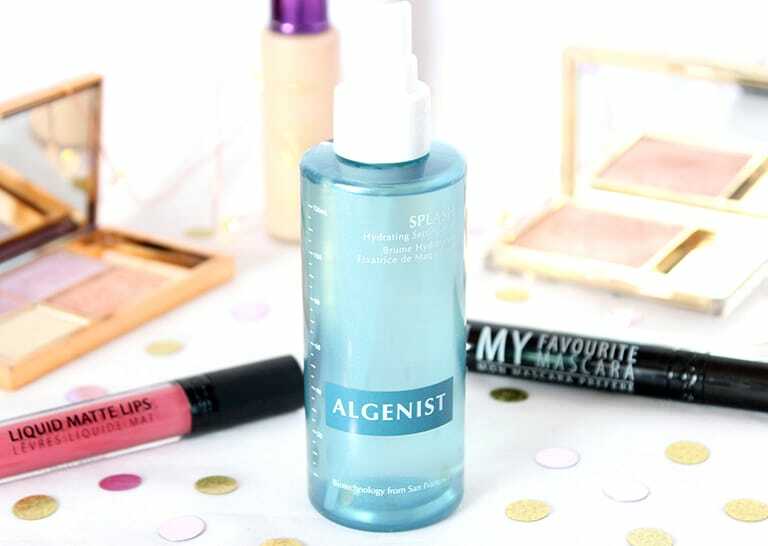 The Algenist spray has mineral-rich sea water and sea fruit extract in it to help hydrate and lock in moisture. It also smells lovely, although once it’s dry (and it dries within seconds) you can’t actually smell it on your face, which I love, because I have perfume to make me smell nice!! According to the leaflet that came in the box, all Algenist products are hypoallergenic, suitable for all skin types and paraben-free! The setting spray also says it’s non-drying and alcohol-free! The make-up I’m waering in the below pic is: foundation – Rainforest of the Sea (Tarte), highlighter – Solstice palette (Sleek), blusher – Pure Colour Blush (Estée Lauder), eyebrows – Precision brow pencil (NYX), eyeliner – Wing It gel eyeliner (Kiss), eyeshadow – Ablaze palette (Smashbox), mascara – My Favourite Mascara (GOSH) and lipstick – Matte Me Lipstick (Sleek). As this is the first setting spray I’ve ever used (yup I’ve honestly never used one before now) I’m really pleased that it actually works and sets my make-up all day! I love that I can even spray this on my face with my mascara on and it doesn’t cause it to run at all!! 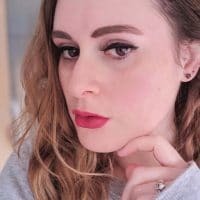 I find at the end of the day, my make-up is still perfectly in tact and I only have to reapply my lipstick during the day 😀 If I do touch my face at all (which I still do, way too much) only the tiniest amount of foundation is transferred on to my fingers! However, here comes the downside, personally I think it’s pretty darned expensive for what it is, especially as there are other setting/fixing sprays on the high street that are under the £10 mark. It’s even more expensive than the Urban Decay sprays, which really surprised me!! Once I’ve finished this bottle, I’ll have to do some research and see how other products stack up against this one! *This setting spray was kindly sent to me to review but views, face and make-up skills are my own. 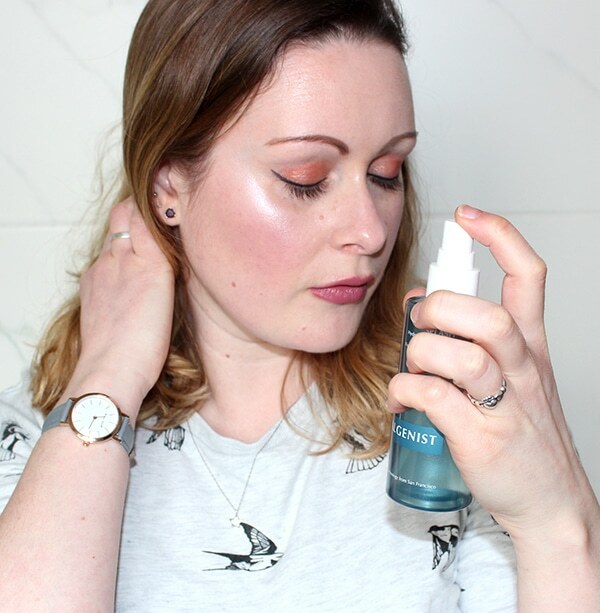 This looks like such a fab hydrating mist, shame its slightly on the expensive side though. It’s incredible and I’m so impressed with it! I’ve been wearing more makeup lately, it just makes me feel more “put together” somehow but I need it to stay there! 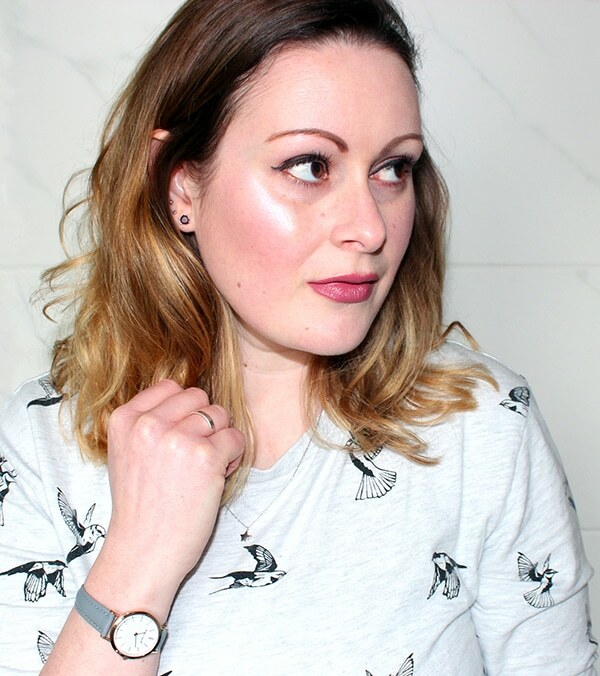 I use the NYX dewy spray which is around £6.99. I haven’t heard of this brand before but I’m not sure I’d pay £28 for a setting spray. A girl can dream though! Glad you’ve been enjoying it.